But let’s back up a little. 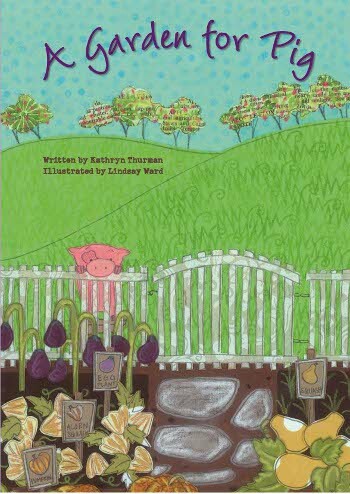 Linday’s illustrated a picture book, written by Kathryn K. Thurman (who is also an artist), called A Garden for Pig, which was just released at the beginning of this month by Kane Miller. 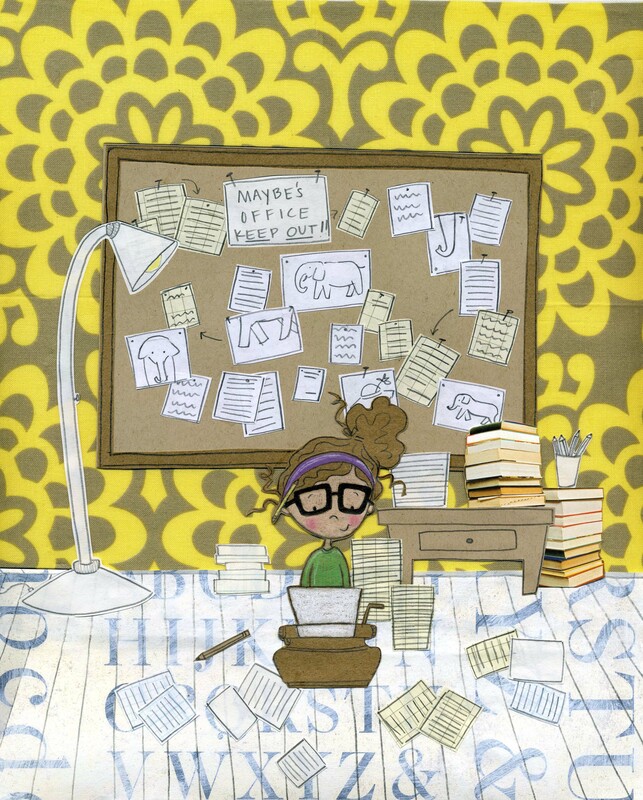 Lindsay’s mixed media illustrations for this title were rendered with cut paper, pencil, paint, stamps, and pastel. This is the story of a persistent pig, Mrs. Pippins (his owner), and the creation of an organic garden (with a plot twist I won’t give away but that will have your scatalogically-minded wee ones giggling hard-core). This link tells you more about the title and that it’s evidently based on the true story of Basil, a pet pig who lived on the author’s family farm. The book closes with “Pig’s Tips for Growing Your Own Organic Garden”: Planting it, keeping weeds out the natural way, fertilizing it, and making your own compost bin. 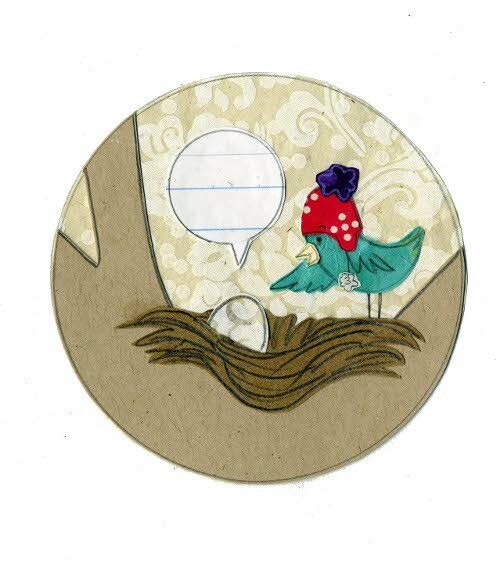 I love Lindsay’s inviting, spirited collages, and I really want to see a story that swirls around the wee lass in Flight Patterns. 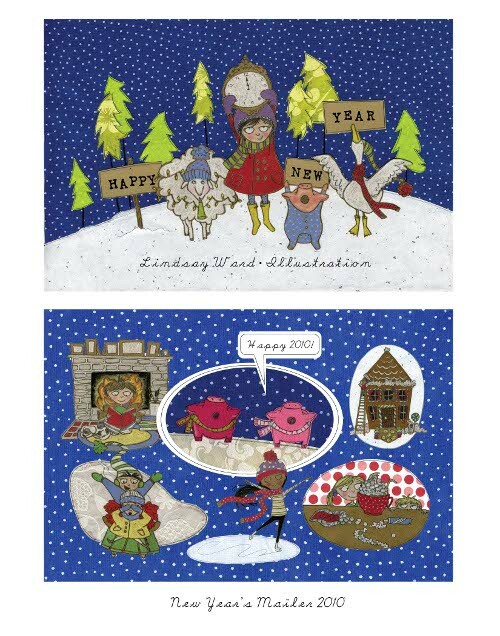 You can see more art at Lindsay’s site. I thank her for stopping by. All art work used with permission of Lindsay Ward. All rights reserved. 1). I attended a fundraising event for the upcoming Southern Festival of Books at this wonderful brewery, who gave us all a tour. I’m tellin’ ya, this place represents just about everything good about locally-owned businesses. They simply rock. 2). My four-year-old and I visited a librarian at this Vanderbilt library, and it was the first time I met her face-to-face. (We had first met via email-slash-the Facebook world.) You know how when you meet someone for the first time and you just KNOW, she is one of my people. Yup. That. We instantly clicked. 3). If you’re friends with Steven Withrow, he’ll just randomly send you his gorgeous original poetry. One of those from this week is posted at his blog. Enjoy. 5). Remember this post? Check out this great NBC video, all about Renée and Shadra’s book. 7). 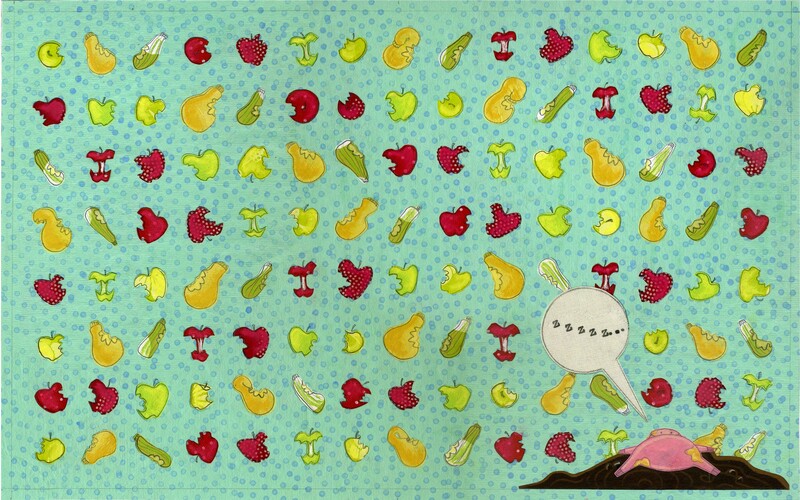 Last but not least: I love this site from Lou Beach (who is also an illustrator). What are YOUR kicks this week? Anyone around on this holiday weekend? Thanks, Jules! Lindsay’s art is so much fun. 2. My baby girl turned 5. 4. 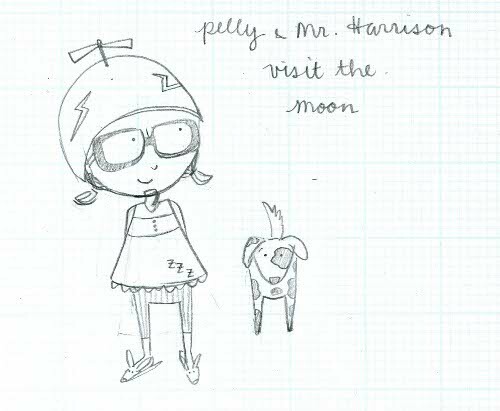 Two new Fieldnotes interviews for 7-Imp in the works after a long delay. 5. Brad Leithauser’s verse novel, Darlington’s Fall. 6. Hurricane Earl rustles a few leaves in northern RI. we shared the same air. RE: Lindsy Ward’s charming illustrations. Ah, that piggy peaking over the garden fence! The little dog, Mr. Henderson, is the spitting image of my childhood dog, Slipper. Her whimsical textures work so well. Jules – your daughter’s note is so sweet and funny. I love her sucase too. (Maybe she’s into the Disney CASTLE vs. the princesses that might reside within. Architectural appreciation? It is a pretty cool castle.) My first job was at Disneyland (I was a butterfly in the Christmas Parade.) Disneyplaces do feel magical when you’re there. Steven – I really like the movie poster for your documentary. I played hookey from Kicks last week and I really missed participating and reading everyone’s shared treasures. I was seeing my eldest off for his senior year of college in Oregon. That really does NOT seem possible. I swear, I just walked him to kindergarten a blink ago. 1.) My thoughtful husband surprised me with some original illustrations from my book; Barry Moser’s masterful art on my office wall. Sigh. 3. And he’s on ‘reduced activity’ – so we’ve watched a lot of movies. “Galaxy Quest” is just the best, the funniest, spoof ever made. Ha-ha-ha! 4. the words: ‘ramshackle’ and ‘scattershot’. 6. pomegranate seeds on salad. 7. A finished first draft. Whew! Good morning! I am excited about Lindsay’s work, wish I had that pic of the gal hard at work on the typewriter, papers everywhere! And the Madeline video, super. A wonderful flood of memories came over me thinking about your upcoming trip to Disney – my parents took us to Disneyland, I took my children to Disneyworld – some of my most treasured memories still! 1. New CFO came to work at RIF, WA-HOO! 2. RIF launched our US Airways Read With Kids initiative; go to http://www.rif.org to register yourself and then log your minutes reading with a child/ren through October! 3. Received fun, fun, fun pictures of my grandson spending his first family vacation on the beach with his parents. 4. Temps lowered as the week went forward, that is a true “kick”! 5. Located information about a beloved Girl Scout Camp I first attended; after years of sitting unused the buildings are being renovated for public use, can’t wait to spend a night in a cabin in Tall Timber, my favorite unit! 6. Razorback football kicked off with a win! 7. Yesterday read NINTH WARD by Jewell Parker Rhodes, a children’s book about Katrina…so well done. Since I haven’t been here in months, my kicks will span a longer time period than just the last week. 1. I traveled this summer so much! To ALA, to Ohio to visit my parents and brother, to the beach. It was crazy but also fun. 3. I’ve started my second year of library school and despite the schedule being crazy, I still love it. 4. I took a children’s literature class over the summer where we got to select our own books, so I tended to go with the gothiest kids books I could find. 5. I am working on many new projects at my job, all of which keep me more engaged than the original project they hired me for (which was still pretty great). My first blog post for them goes up tomorrow am. 7. My sister continues to live locally and I’m so happy to be able to spend time with her. I absolutely love the the illustration of her office . I am always intrigued by artisits who do collage. Jules, DisneyWorld will be so much fun. As someone who grew up with Disneyland nearby we went a lot. Despite the commercial nature of it all it does manage to make it feel magical. Steven, happy anniversary. Love the poem to your wife. Denise, I am curious where in Oregon your son goes to school. Carol, the girl scout camp sound really fun. Kimberly, welcome back. You were busy this summer. 1. First week of school complete and all went well. 2. Made a new lentil dish this week and it was so tasty. 3. One of the neighbor cats is trying to adopt us. This week he spent a couple nights sleeping on the patio. 4. Ate first tomatoes from our plants. 5. Finished Hunger Games. Might be among the last to have read it. 6. I was asked to mentor to beginning library media specialists. There first year. 7.Planning a surprise birthday for my husband, milestone bday: 60.
jone, I’m there with you among the last to have read Hunger Games – I finished it this week as well. I’m going to have to follow the links to the Handler speech and Herzog/Madeline video later, when my daughter’s not around. I’m looking forward to them! We got up early this morning to practice for when our girl starts for 1st grade on Wednesday, but not as early as we’ll have to get up on Wednesday morning. She needs to be at school by 8 am to be ready for the morning lesson at 8:15. We’re already on our second cup of coffee just thinking about it. Jone, my husband read both Hunger Games and Catching Fire the weekend before Mockingjay came out. It was very sweet to see him be so impatient for the final installment. 1. I still haven’t seen a luna moth in person, but I made a luna moth fairy. 2. School begins this week! 3. Our house is painted. It looks fresh and green. Well, it is green now. I would have lobbied for orange except that the house next to us was recently painted orange. 4. I acquired some lovely stationary and I’m going to write snail mail letters. Really. 5. Somewhere in my future is a nap. 6. I can almost finger-pick “Skip to My Lou” with syncopation. 7. Today is my Day Off. Thanks for continuing to feature upcoming illustrators/artists every month, Jules. It’s like watching new magic tricks in development. Like Denise, I zeroed right in on the little garden pig. What amazed me was the endpaper — all the fruits and vegetables with bites taken out of them, and the pig at the very end, flat on his back, stricken sleepy with gluttonous satisfaction. I liked zooming in to see just how she’d constructed that little representation of him in perspective: one flattened oval for the nose, one bigger one for the torso, and the four little extensions of his legs. There’s nothing about those shapes per se which says “pig,” especially not “pig, satisfied and dozey.” Assemble them just right, though, and add a couple little slots in the nose and the right color scheme, and its unmistakable. Oh, Jules, Yazoo Brewery just shot to the top of my side-trips-in-Nashville-to-do list. I need to see if I can get some of that stuff delivered to a store in this area — especially the Sly Rye Porter and the Sue. Rrarr. The Herzog reading blew my mind. I checked around some — apparently it’s (whew) not really his voice, but the work of someone who really knows his Herzog. The maker of that video also made three others of “Herzog” reading children’s classics; the one which thrilled me the most was his interpretation of Where’s Waldo? Ha! 1. That Lou Beach web site which Jules mentioned. Extremely cool! 2. Okay, this requires you to use the Google Chrome Web browser — not Safari, Firefox, etc. But it may be worth downloading another browser just to see it. (It’s also best if you have nothing else running on your computer at the time you watch it.) The band Arcade Fire has made a music video for which you supply an address — they suggest that you use the address of your childhood home. The video features a guy jogging through that neighborhood, using a combination of Google Maps and (if available) Street View. One of the coolest things I’ve seen on the Interwebs in years. Go here to see it. 4. I’ve been laid up most of this week with gout in one knee. I’d like to reserve a very special kick for horizonality. Oh, and Percocet. 6. I think Tender Morsels is turning me inside out. 7. The first day in weeks on which the sky actually had a third dimension to it instead of the constant matte-gray-paper look. And we’ve seen some blue since! Looking forward to hearing about everybody’s kicks for the upcoming week, next time around! That Madeline reading is so hilarious it has displaced any previous kicks I may have had and taken all 7 spots for itself. Steven, happy birthday to your daughter. Looking forward to the Fieldnotes, as always. Denise, look at that punkin head Handler, so wee young! Did you know there’s a band called The Pomegranates? Galaxy Quest is, quite simply, one of the funniest movies ever. Congrats on your completed draft! Carol, such good kicks. And I really want to read Ninth Ward. I’m pretty sure the author will be at the Southern Festival of Books. Kimberly, hubba WHOA, it seems just like yesterday that you GOT MARRIED and were showing us wedding pics. Happy anniversary. And congrats on producing your own show! Jone, I haven’t read Hunger Games — not a word. I want to, but I just haven’t. You as a mentor is perfect, too. Lucky student. Farida, I want a yellow house one day. Good luck with the start of school, and I love good stationery. John, oops. Look at me, assuming that it was actually the director reading. And the friend who sent me that told me to watch Where’s Waldo, too, so I’ll do that soon. Thanks for the Arcade Fire link, too. And, oh my, good luck with your knee. Ouch! Jim, right! So funny, huh? I’m off to watch the Waldo one. The Herzog videos are hilarious! Jes, wish we had the sound of cicadas. Farida, enjoy your day off. Farida – kick 5 made me laugh. And, Tender Morsels had the same effect on me; not comfortable but captivating. Jules/John – Both Herzog reads are other-worldly hilarious. “Vis has been Vere’s Valdo.” Ha! : – ) Have a good week everyone. A busy period at work has combined with the whole looking for a job in Australia period, so I am not up to list making. But I love reading the kicks. Jules, that note is just fantastic. Denise, I watched Galaxy Quest recently and agree it’s great fun, and pefect for “reduced activity” times! Farida, snail mail letters are the nicest thing. I’m sure they will make someone’s day! Ooh, extra ones while I got around to pressing submit! JES, I love the sound of cicadas so much. They are definitely one of the things I miss most in summer over here. Can we all sing “It’s a Small World…”? Denise’s son goes to my ala matar! Wow. We have to meet up when you come to Portland, Denise. Hi, Lindsay Ward! Thanks for dropping by 7-Imp. I am amused by that little bird, and the fact that the egg is telling the little bird something instead of vice-versa to match the saying. I too love typewriters. Best of luck with your works! Ladies and gentlemen, the LEVERAGE season finale is on TNT tonight. Woot! Jules: Thank you for yet another great recommendation! I read A Paddling of Ducks: Animals in Groups from A to Z by Marjorie Parker, illustrated by Joseph Kelly, and really enjoyed it. Every page offered gorgeous colours and illustrations. I loved the extra story, the unwritten things that wise eyes would find and appreciate. I am so happy that your daughter thinks the princesses need to have jobs. YES. Smart girl with good parents. Have fun and be safe on your trip! Steven and Lesley: Happy anniversary, and happy birthday to the 5-year-old! Denise: Welcome back! Sending healing thoughts to your son. Points to your cat for typing polkas. That’s awesome. Rasco: Sounds like you had a kicking week! Kimberly: Hey, you! So glad that you’re back here. The first thing I saw in your kicklist was the word “callback,” so I thought, “Did she have an audition? What did I miss? !” 🙂 So glad that Rumors did well on all levels. Jone: Happy birthday to your husband. Congrats on the mentoring job. Lentils are tasty. So are tomatoes. Big hugs to the cat! 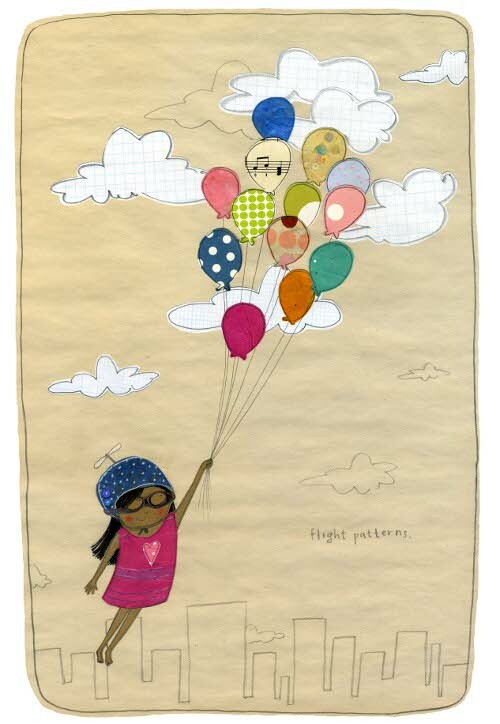 Farida: Best wishes to all the schoolbound souls (and soles – an ode to the aching feet!) Hurrah for correspondence…and for naps, which I’ve heard are nice. JES: Yikes. Rest up and feel better soon. As someone who did a great deal of laundry today, just remember, turn inside out and wash with like colors. emmaco: Hope all is well within the busy. 1) Tomorrow will be the start of a new year. Let the majority celebrate New Year’s Day on January 1st; I prefer to do so on my birthday. Monday will be a double holiday in my world, which means a lot, to say the least. 2) Visiting with friends that I haven’t seen in a while. 4) Something that was as wonderful and encouraging as something two days prior was the opposite. 6) Getting $442 worth of goods for $22 out of pocket. 7) Looking forward and seeing good things ahead. Happy b-day, Little Willow! Looking forward to another year of seeing you Kick up your heels here! Love the little note your daughter wrote–especially the “HASTA LA VISTA, KITTYS.” Too cute!!! It’s been crazy time for me and my family. We’ve finally removed most of the furniture and other stuff from my mother’s house. It’s now on the market. I hope it sells soon! 1. Hurricane Earl missed us! Thank you, Mother Nature. We have had the most beautiful weather this holiday weekend. 2. I attended two wonderful family parties on Saturday and Sunday–and had a great time! I especially enjoy spending time with my daughter and her new husband. I don’t see them as often as I’d like–so this weekend was a treat for me. 3. We finally got some rain. Most of our grass is green again–so I mowed the front lawn this morning. I like mowing the lawn with our push mower. It’s great exercise for me. 4. I’m hoping to get together with my friend Grace Lin tomorrow. 5. One of our oldest and dearest friends who seemed to be at death’s door several weeks ago had surgery and is now feeling so much better. He and his wife even traveled down to NC to visit with his brother last week. Denise, the polkas made me laugh outloud. Emmaco, good luck with the job hunt! Elaine, so glad you got to see family and that your friend is better. Hello to Grace! Elaine M.: Glad that you are safe and sound, and that you enjoyed your time with your family. Hi to Grace! Sending your friend lots of strength. Hey lady!!! Thanks for the shout out!!! Meeting you was pretty awesome for me too and the best part of the best day of the work week. True story. Another true story is that I LOVE LIndsay Ward- thanks for introducing her- she is super cool!